All preborn babies are "persons," and all innocent people share the inalienable right to life. It's the benchmark to evaluate any legislative strategy to protect preborn children. Personhood is legally defining all human beings as "persons." A "person" is a human being who is fully protected under the law; and the legal term "personhood" describes this condition. Once a human being is declared a person, that individual is guaranteed legal protection of endowed rights. To better understand personhood, we ask the fundamental question of when human life begins. Embryological science is clear that in human sexual reproduction, human life begins at fertilization: the union of an egg and sperm resulting in a unique, genetically distinct human being. Biology answers the simple question. Human life begins at conception. The follow-up questions: "Is this tiny embryonic human being a 'person' who is guaranteed the right to life?" "Should human beings be protected in law as persons; as citizens with full constitutional protections?" The answer to the question of personhood is a political and legal one. Once a human being is declared to be a legal person, there can be no exceptions to his or her inalienable right to life; just as there are no exceptions to your right to life. Visit our personhood website by clicking here. WOW. 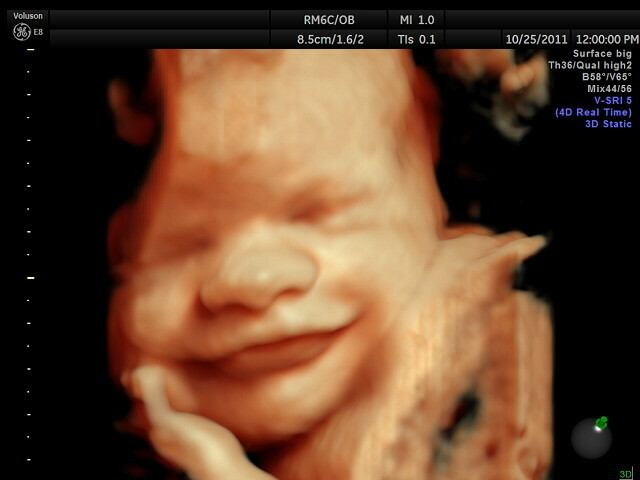 Check out these 4D ultrasounds videos at 20 weeks. Achieving total protection means achieving the enactment of laws prohibiting the killing of preborn children - at any stage of development and in any circumstance.